According to Korean media outlet ETnews, the LTE model of the Galaxy S10 will launch in early March and the 5G model in late March in Korea. There have been reports that Samsung will launch a 5G model of the Galaxy S10, however, there is no concrete information on the phone's launch date. Now, a report by the South Korean news platform ETnews has not only tipped at the name of the 5G model but also the launch date of both the Galaxy S10 LTE and the Galaxy S10 5G models. The report also suggests that the 5G model could sport a total of six cameras. ETnews says that Samsung Electronics' 5G model is expected to be called the ‘Galaxy S10 X‘ and will be dedicated to the 10th anniversary of the Galaxy S series. The report notes that the ‘X’ Roman numeral 10, “and it also includes meanings such as experience (eXperience) and expansion (eXpand).” The Galaxy S10 X is also said to have in-display fingerprint sensor, six cameras (two on the front and four at the back), and 1TB of local memory. As for the launch date of these smartphones, ETnews cited a Samsung Executive who reportedly said that the company will launch the LTE version in early March and “the 5G model in Korea in late March.” The report also says that the Galaxy S10 Lite, the Galaxy S10 and the Galaxy S10 Plus are scheduled to be released on March 8, and the Galaxy S10 X will launch on March 29 in South Korea. When it comes to the cost, the starting prices are likely to range from 800,000 won (approx Rs 50,600) to 900,000 (approx Rs 57,000) won for the Lite models and 1.6 million (approx Rs 1 lakh) to 1.8 million won (approx Rs 1.13 lakh) for the highest-priced models. 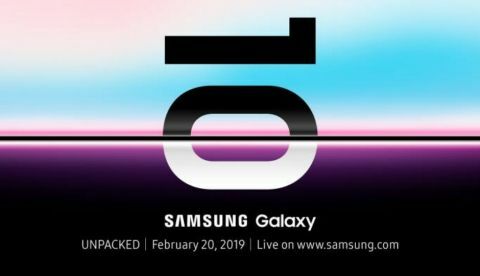 Samsung will unveil the Galaxy S10 series of phones on February 20 at an ‘Unpacked’ event in San Francisco. The company may also launch the final version of the foldable phone along with Galaxy S10 series.